Combination of iconic cultural edifices, surreal natural beauty and north face view of world highest mountain. 1. 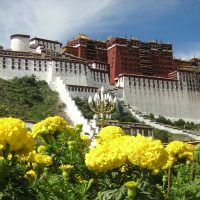 Visit landmark attraction in Lhasa such as Potala Palace, Jorkhang Monastery, Sera Monastery etc. 2. Look out for souvenirs of your liking in shopping street in Barkhor. 3. Indulge in local culinary experience with Tibetan food. 4. Crossing some high mountain passes with surreal views and sacred and beautiful Yamdroke Lake. 5. 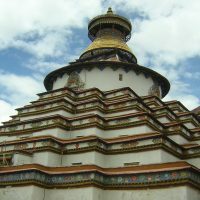 Tashilhunpo Monastery in Shigaste. 6. 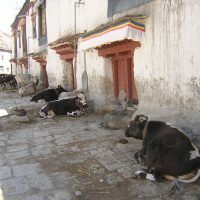 Shegar Monastery and Dzong in Shegar. 7. 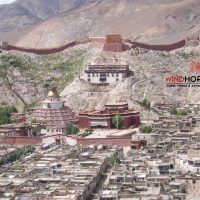 Visit world highest monastery – Rongbuk Monastery. 8. Finally, astound view of North Face of Mount Everest from Everest Base Camp. 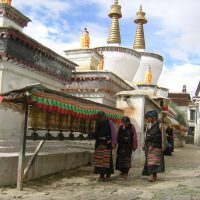 To the most Tibet have always been shrouded in the mystery, this trip take you on a journey that slowly unveil its enigma and expose you to the undiluted charms in form of its rich legacies of its historical monuments with its natural attractions along the way till it culminates into base camp of world highest peak Mt Everest, offering astounding north face view of Mt Everest. 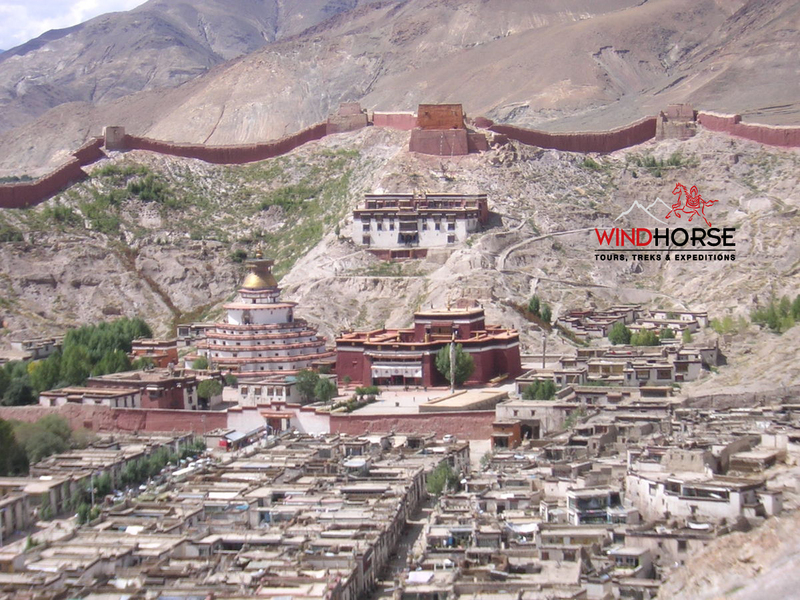 The trip starts from historical Lhasa, exploring some of the major cultural and religious highlights like unmissable Potala Palace, Drepung Monasteries etc. Along the way savour the delights of emerald green turquoise Yamdrok lake.Followed by visit to the places of interest in Shigaste, Gyantse, enroute passing through some of breathe taking high passes, offering surreal vista of the surroundings.And also visit to fabled Rongpung Monastery, highest monastery in the world. Culminating into the Everest Base Camp with a up, close and personal view of north face of Mt Everest. Transfer to your hotel. It takes little more than one hour (98 km). Free afternoon, rest, relax and acclimatised. Overnight in hotel in Lhasa. 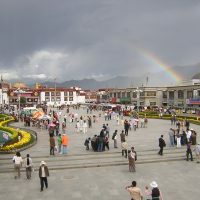 Full day tour of Lhasa. After breakfast, visit some of iconic edifices that defines Lhasa such as famous Potala Palace, Jokhang temple, shopping street in Barkhor. Setting pace of our own for detail visit of these landmarks as well as to enhance acclimatisation. Overnight in hotel in Lhasa. Lhasa being the epicentre of cultural renaissance in Tibet, it has a lot of cultural attractions and sights to see. Also, most importantly, more days in Lhasa means to be better equipped with acclimatisation for the final summit tour of Everest Base Camp (17,225 feet). Today’s visit on the menu are Drepung Monastery, Nechung Temple, Sera monastery. Overnight in hotel in Lhasa. 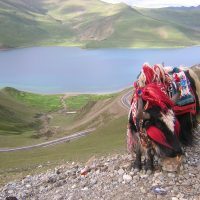 Day 4: Lhasa – Yamdrok Lake – Gyantse – Shigatse (B/D) (3836m), 350km, 7 hours. 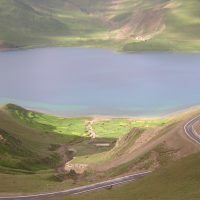 After breakfast, drive to Gyantse across 2 high Passes, affording spectacular vista and beautiful Yamdrok lake. 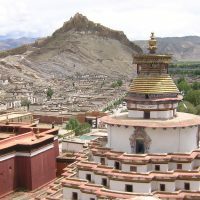 In Gyantse, visit Pelkor Monastery and Kumbum Stupa.In the afternoon, drive the final 90km stretch to Shigatse, the second largest city in Tibet. Overnight in hotel in Shigatse. 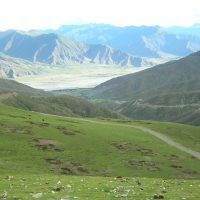 Day 5: Shigatse – Shegar (New Tingri) (B/D)(4500m), 240km, 4 hours. In the morning, visit famous Tashilhunpo Monastery. Then drive to Shegar over 2 high mountain passes. On the way, if time allows, make an excursion to visit Sakya Monastery (4280m). In the afternoon arrive in Shegar. Visit Shegar Monastery or climb up the ruins of Shegar Dzong for beautiful views. Overnight in Hotel in Shegar. Day 6: Shegar – Rongbuk monastery(B/D) (5000m) Everest Base Camp (5250m), 100km, 4 hours. 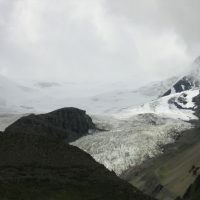 Crossing scenic valleys and rocky mountains, arrive in Rongbuk Moanstery. where you will have a fabulous view of Mt. Everest. Rongbuk monastery is the highest monastery in the world. Rongbuk Monastery to Everest is about 8km, and along the way you there are spectacular views of the world’s tallest mountain. You can either take a two-hour hike or take a bus to Everest Base Camp. Day 7: EBC – Shigatse(B/D) (3836m), 350km, 8 hours. 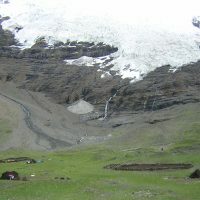 Drive over two high mountain passes with great views of the Himalayas. 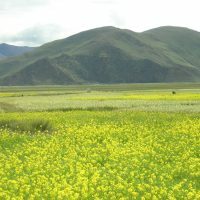 Day 8: Shigatse – Lhasa,(B/D) 280km, 5 hours. Transfer to airport for your outbound Journey. 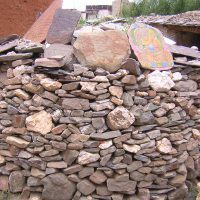 Trip Accommodation3* hotels in Lhasa-Gyantse–Shigatse.Simple guest house in Rongbuk. All other expenses not listed in the included section. Mr. Tashi is from the Amdo region of Tibet. Studied Tibetan Buddhism and English literature in Varanasi India from for 5 years. He speaks excellent English and some Hindi, and wonderful Mandarin Chinese. 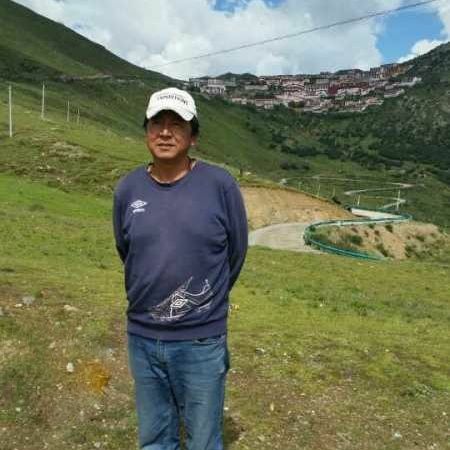 His passion for the scenery of his homeland has led him to deepen his knowledge of Tibet’s less traveled paths, particularly in the central and western Tibet (Kailash area), where he traveled and led so many groups to. His patience and detailed oriented personality has earned him a really good judgement from our guests. I returned a few weeks ago from my special, custom trip to Tibet. The job everyone involved via Windhorse Travel did was outstanding! All arrangements were excellent and there were no hiccups or issues I can give advice for improvements. It was obvious that the permits &c were unusual, complicated, and well done. I have to make special mention of my guide, Tashi, and driver, Ngawang, that I had throughout my nine day excursion in Tibet. They in particular did an outstanding job as well as being delightful companions. Thanks to everyone for fulfilling the dream trip for which I hope.